....a vehicle delivering mail gets into an accident? In the early morning hours of Dec. 27, 2008 a contract carrier was transporting mixed classes of mail from Oklahoma City, OK to Dallas, TX. Unfortunately, the carrier was involved in an accident and the trailer caught fire. The mail was heavily damaged by fire and water. We are thankful there was no life threatening injuries. 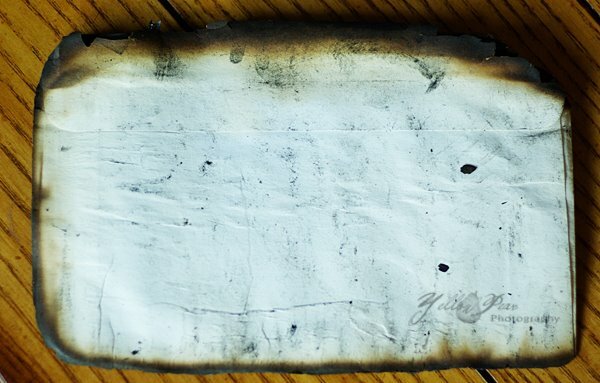 The United States Postal Inspection Service secured the scene and determined a portion of the mail was burned beyond recovery. We are making every effort to deliver every piece of the recovered damaged mail. The enclosed mail piece is being sent to you in the condition it was found. Please accept our sincere apology for the delay and damage to your mail piece. I am also thankful no life threatening injuries were sustained because I don't think I could handle looking at my piece of mail. However, with that off my chest, I was intrigued...I always wondered what would happen in such incidences. 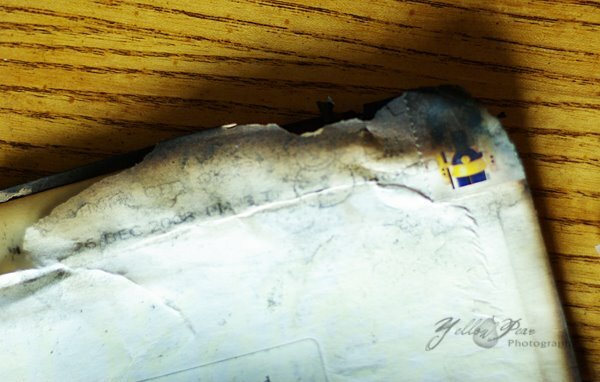 We were amazed at the condition of the mail...check it out...my fingers were stained with soot after trying to open it. And we were lucky enough to get a whole piece...it sounds as if only portions of some letters were recovered. 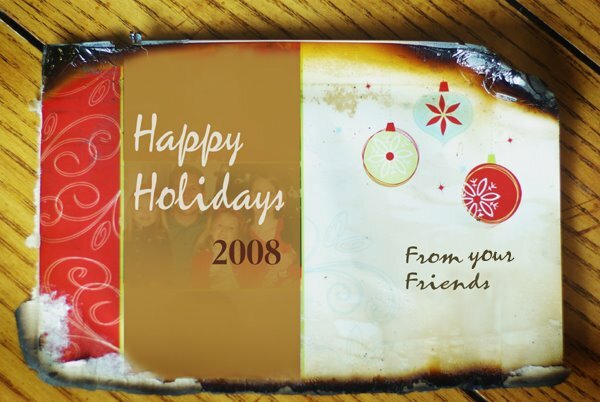 I finally got the Christmas card out...and it was still recognizable, although I changed the card to hide the identity of our friends! Thanks for the card guys...it was definitely an exciting one to get! And I can't believe our card was in the half that made it! It makes me wonder about the Pony Express days. I'll bet there were many more mail fatalities that came with the many more ways of accidents happening. That really is so interesting and neat that they go to all of that work to make sure you get it, even if its burnt. Wow... that is amazing! I've never seen anything like it. I was completely into this blurb and thinking it was really interesting that you put "THE EVIDENCE" on your blog, when i realized that this was the card from our family. HOW CRAZY! Well, glad you got it, even with the minor damage. I too, am very grateful there were no fatalities!